It’s fishing season in Montana. Between proposed changes in river regulations, booking trips, shoveling snow, and winter special fly fishing trips we’ve had a whirlwind of the last few months but looking forward to spending our time where we love to be from here on out: on the water. 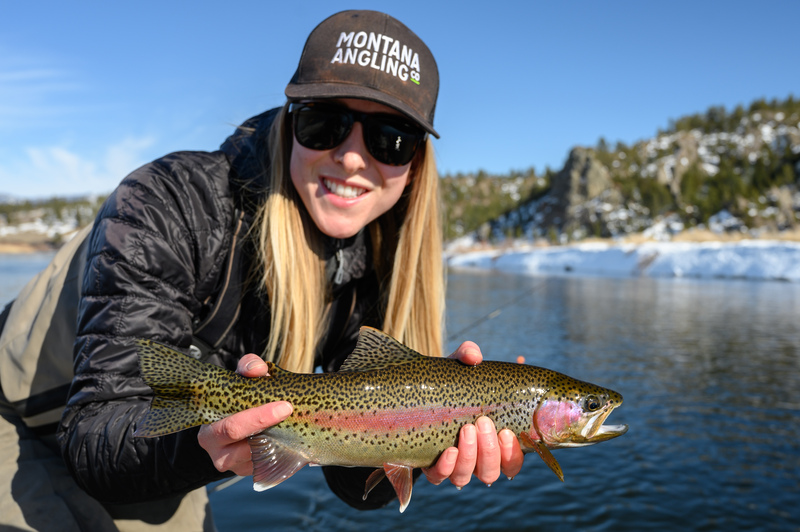 We’ve had a busy start to April with anglers enjoying great fly fishing on the Missouri River, Madison River, Yellowstone River, and Paradise Valley Spring Creeks. Nymphing has been king but the dry fly fishing made for moments of greatness. We’ve seen good hatches of BWOs, midges, and a few skwala stoneflies and we look forward for these to only improve as we move through the month. Spring has definitely sprung in Bozeman with most of the low elevation snow melted away. River flows have gone up and down, but our Montana fly fishing guides have found consistently good fishing on all of our local waters. The Madison River and Missouri River will fish well regardless of weather. The Yellowstone River and Gallatin River will fish well when flows are steady and the water is green. Boat ramp access has dramatically improved on all of our area rivers as we’ve seen the winter ice start to melt away, but we still aren’t going anywhere without a tow strap. Icy boat ramps and rubber tires don’t mix well. Anglers joining us for trips later this month can expect solid dry fly and dry dropper fishing. Hatches have been improving daily. Cool, overcast, and calm is a great combination in April for excellent fishing, and the forecast looks to hold a lot of that near-term. Our April Trip Specials will continue to run through the end of the month. $100 off guide trips. Great deal for great fly fishing. See you out on the water soon.